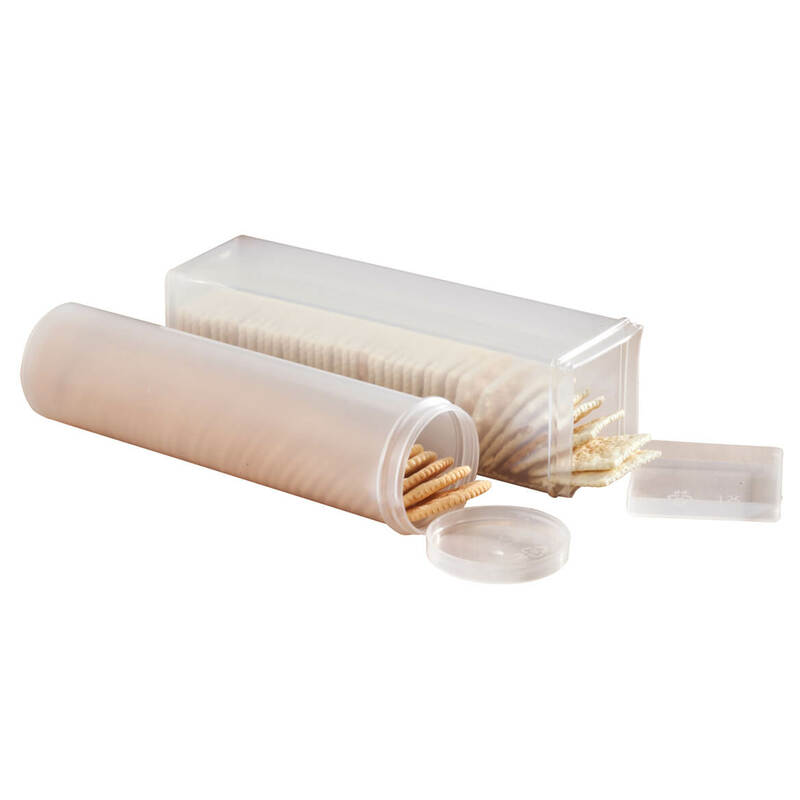 We love these holders for either saltines or Graham's. LOVE IT. THEY SHOULD COME IN SETS OF 4. LOVE THEM. THEY NEED TO COME IN SETS OF 4, CAUSE THEY DO KEEP CRACKER VERY FRESH AFTER THEY ARE OPENED. WILL ORDER SOME MORE OF THEM SOON. these containers really work. they keep crackers crisp and fresh for at least several months. with these containers, we can keep an ample supply and variety of crackers for quick access for ourselves or for when company drops by. the only problem is the fact that you have to buy both the square and the round containers as a package. they should be packaged separately so when can buy any number of either round or square containers. Great to keep crackers fresh! My husband loves saltine crackers. However he wastes a lot of crackers because they get stale once the sleeve is opened. This container fits a sleeve of saltines perfectly, and keeps them crispy. Have one now and now buying additional. The cracker keeper is so convenient and used almost daily. The best part is that they do not crumble and stay fresh. Buying additional keepers for road trips. I have another one of the cracker keepers and I love it. It's plastic and may crack over time. They close really well. Love them. These keep crackers fresh far longer than the paper in which they are wrapped. Both keepers have uneven bottoms & will fall over if not leaned against something. The lid on the square keeper does not fit properly and cannot be completely closed -- one corner always is slightly raised. 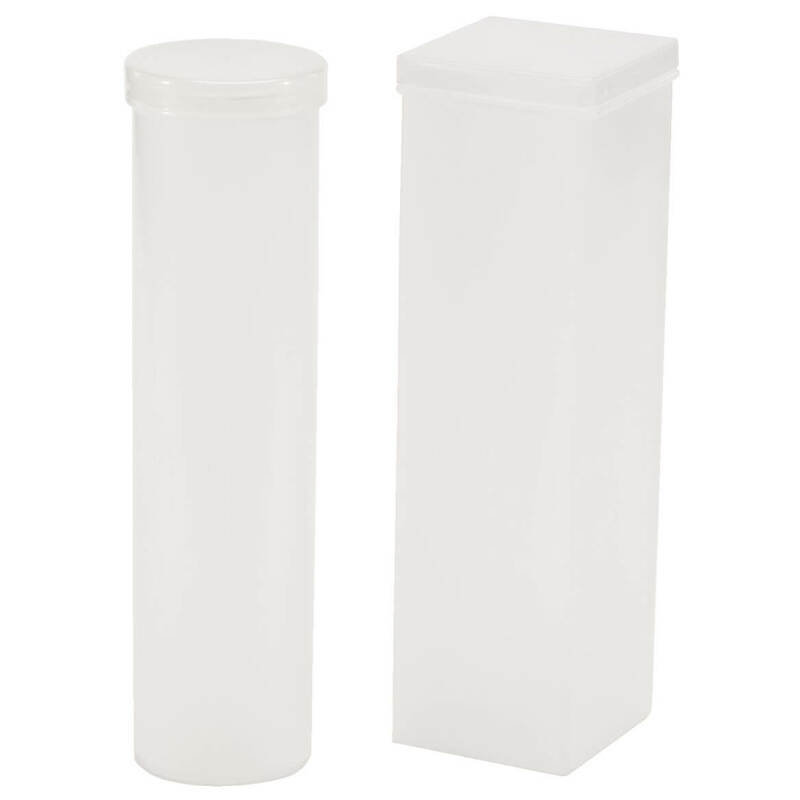 I have a set of round and square containers....like them so much, I've ordered for my sisters. I take saltines to work everyday this will help protect them from getting crushed. Purchased squared one before and was very pleased. Use both of these items and usually use zip-locs. This sounded better. To keep our crackers nice and fresh! Freshness and flavor, they tend to pick up pantry odors (spices) and stale too easy. Also, a good way to make sure you don't get bugs. I purchased these for my camper. Getting tired of crushed crackers. I was looking for items like these and they are at a good price. I have been looking for this for years! So glad Miles Kimball offered this product! Works great! 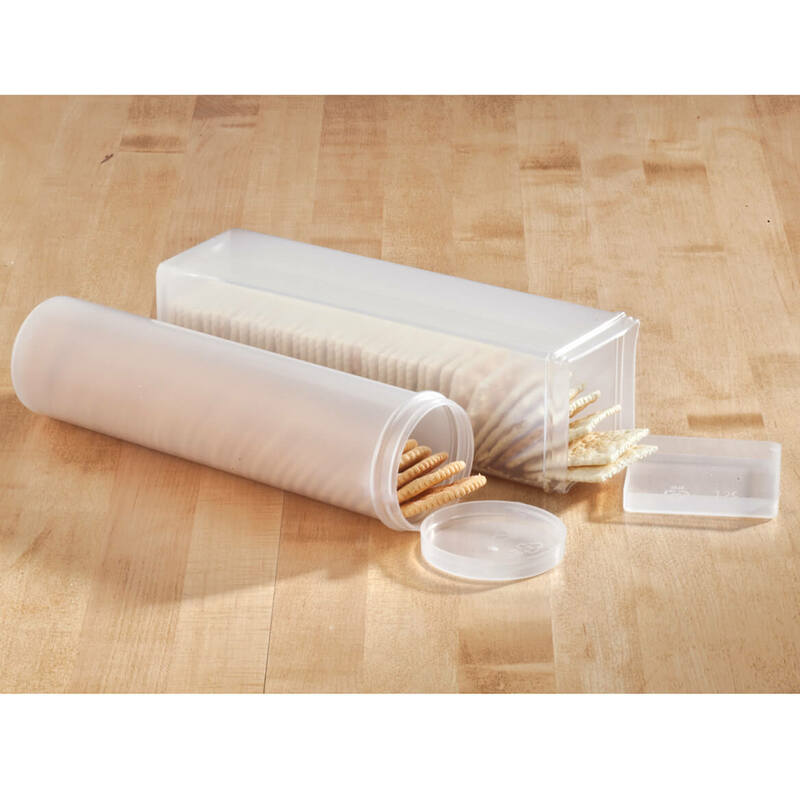 Very convenient for storage and keeps them fresh for much longer! Love them! To protect the last stack of crackers in the box before we open the next box. To preserve the freshness of my round and square crackers, once opened. They came as a set, one of each type. Keeps our crackers and cookies fresh and handy. Great product. Wish I could buy round ones separately because we could use more round ones than square ones. Already had one and it cracked so this is replacing it. was recommended by a friend to keep crackers fresher for a longer time. I have one & a friend wants one too. Hope it will store my crackers. My friend saw my set and asked me to order one for her. how tall are they? will spaghetti fit in them?